Balsamic Chicken with Pears recipe is a healthy and light chicken dish that your family will love. This is a one-pan stovetop recipe with sweet pears and tangy balsamic vinegar. Adding the pears brings this Balsamic Chicken to even new heights. Check out more great Chicken Recipes and how to Brine Poultry for a moister and tastier dish. ** Dried cranberries could be substituted for the dried cherries. Pat chicken dry with paper towels. One at a time, place the chicken breast between two sheets of plastic wrap. Using a meat mallet, carefully pound the chicken breasts to a uniform thickness of approximately 1/2-inch. Season on both sides with salt and pepper. In a large frying pan over medium-high heat, add the olive oil. When the oil is hot, add the chicken and saut turning once, for 3 to 4 minutes on each side, until golden brown. Remove from heat and transfer to a platter, cover, and keep warm. To the same pan, add the shallot and sautover medium-high heat for 2 minutes or until soft; decrease heat to medium and add the pears. Continue sauteing, stirring occasionally for 3 to 4 minutes, until the pears are soft and golden brown. To prepare the sauce, combine chicken broth, balsamic vinegar, sugar, and cornstarch in a small bowl. Pour over the pear mixture; add the cherries. Increase heat to high and simmer, stirring frequently for 6 to 8 minutes or until the sauce thickens slightly. Return the chicken and any juices to the pan. Bring the mixture back to a simmer; decrease heat to medium. 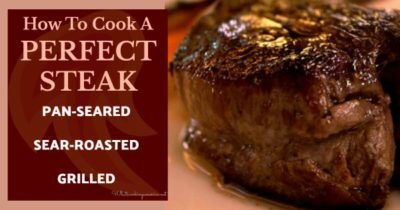 Cook for 10 minutes or until a meat thermometer registers an internal temperature of 165 degrees F (juices will run clear when cut with the tip of a knife). Taste and adjust the seasoning if necessary. Remove chicken from heat. Place the chicken on individual serving plates or on a large platter. Using a slotted spoon, mound the fruit over the top. Spoon the sauce over the fruit and around the chicken. Serve immediately.